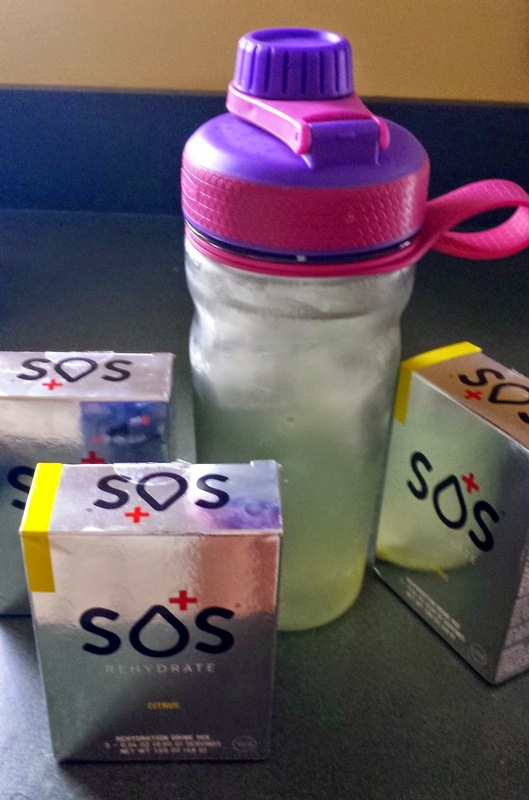 Recently the kind folks at Meijer sent me some SOS Rehydrate to try. I hadn't heard of it before, but after swearing off Gatorade forever, last year at the Chicago marathon, I've been open to trying new things. They have citrus and blueberry flavor, I was sent the citrus. It's very nice and light, not overwhelming at all. I've taken it along on several runs with me and have had no stomach problems at all with it. Yay!! You can buy it online at SOS Rehydrate, at Meijer or at these other places. Right now only $6.50 (normally $8.75). Check out their facebook, to see what others are saying. I have 2 boxes to giveaway, to 2 lucky people! I'm going to make it easy for ya, all you need to do is leave a comment telling me what you use to rehydrate! At home I just use water. I do drink the gatorade at races but it KILLS my belly!! Depends on the run... I usually just drink water, but sometimes I feel I need more. I love Hammer Fizz and Nuun for the flavors. I do mostly Nuun when I'm out running. Sometimes I'll do the Camelbak Elixer. It's got a stronger flavor which isn't always good though. Most of the time just water, but sometimes I will drink Lemon PowerAde. Would love to try something new! I use Nuun and/or water! Mostly just water, but during my long runs the running club I run with puts out Gatorade at aid stations, so I drink that generally. I am a Nuun girl. I usually just use water :) I would love to try this though!! I've never heard of that brand! I typically use Nuun or Ignite Naturals! Water! Vitamin water if it's a long run. i do water or G2! My main re-hydration choice is water but I also like chocolate milk and if I am feeling really bad I love sweet tea. Mostly water, but I love Cocogo!